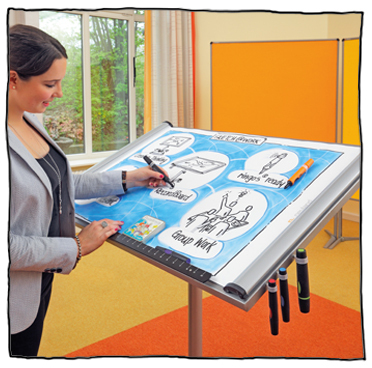 Neuland flipcharts have been designed for the professional use and are thus real unquestioned supporters, when it comes to perfect presentation. Our huge flipchart selection ranges from sophisticated table-flipchart with real pro-features, over highly transportable mobile flipcharts, to the representative stand flipcharts with caster wheels. Carrying bag for the transport of a EuroFlip® FlipChart. To hold the pages of your FlipChart ProjectBook. Spiral replacement-pad for the ProjectBook.